According to the RDR, independent advice must include all retail investment products which are capable of meeting the investment needs and objectives of a retail client. Our panel, chaired by Jackie Beard of Morningstar, will discuss the challenges we all face in achieving this, as investors, advisers and product providers. Job Curtis, Manager of City of London Investment Trust, will share his thoughts as manager of a retail fund, joined by Patrick Mill, Sales & Distribution Director at Alliance Trust, Mark Atherton from The Times brings the consumers' perspective; Piers Currie is the voice of the asset manager and Andrew Neligan, Informed Choice, that of the adviser. 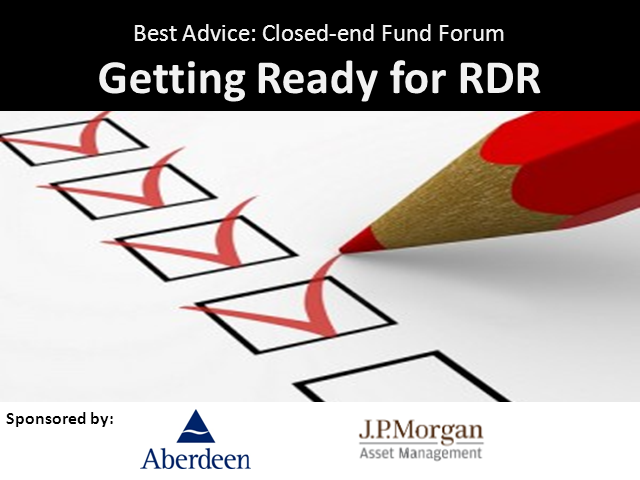 Join us for what is sure to be a lively debate on the challenges ahead as we move towards RDR D-Day.